The Video Directed and Editor was Cole Bennett, Song Producer was Scum Beats where 3D Animation done by Tilla Vision and Director of Photography was Corey Jennings, Also Steadicam was Quaid Baca and Executive producer was Sal Tarantino. 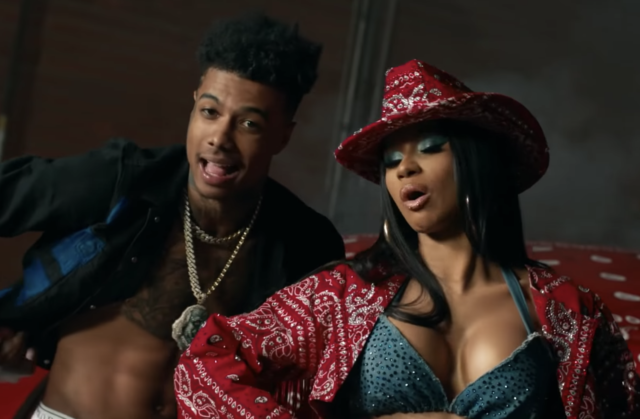 Cardi B joins Blueface for the remix to his song titled “Thotiana” made available right here on MarkMugan.Com. “Thotiana (Remix)” is Blueface and Cardi B’s latest collaborative effort which also comes with a visuls treatment, hit the download button below to enjoy it.